Brewing the best cup of coffee is not going to be possible without freshly ground coffee beans. The best grinders to do that with are burr coffee grinders, as they are easier to use and require less maintenance than bladed coffee grinders. Nobody likes wasting money, so make sure you read through the details of what makes a great burr coffee grinder to avoid buying a dud. 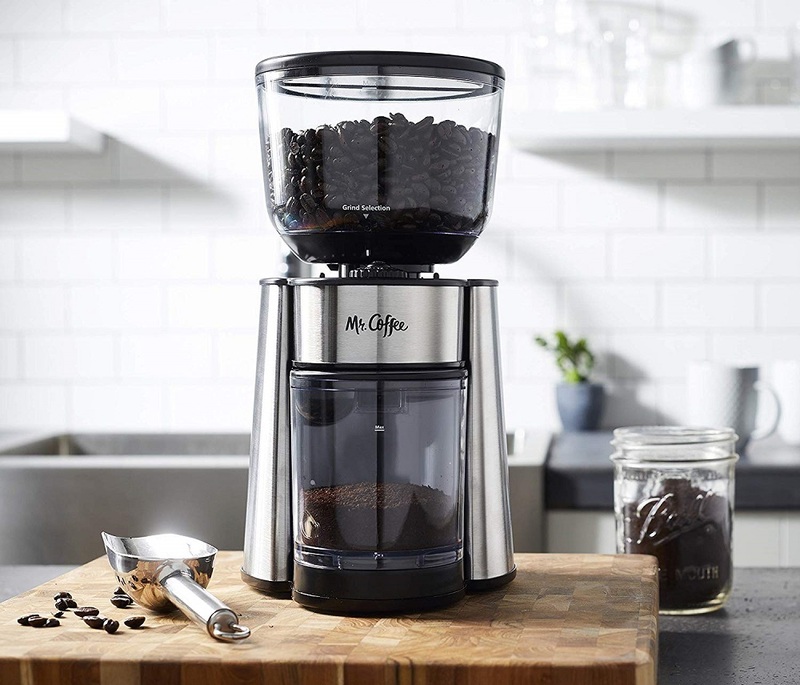 We also have a selection of burr coffee grinder reviews on some of the most popular grinders to help you make the right choice. If you’re new to grinding coffee, you might not realize just how big of a difference it really makes. Usually, when buying pre-ground coffee, it’s already been processed and packaged anywhere from 1-6 months or more! As you can imagine, a product that’s been sitting on the shelf for six months simply isn’t going to taste the same as one that is freshly made. The reason why it isn’t that big of a deal if the coffee beans sit after being roasted vs. after being ground is that they go stale faster, meaning they lose their flavor. 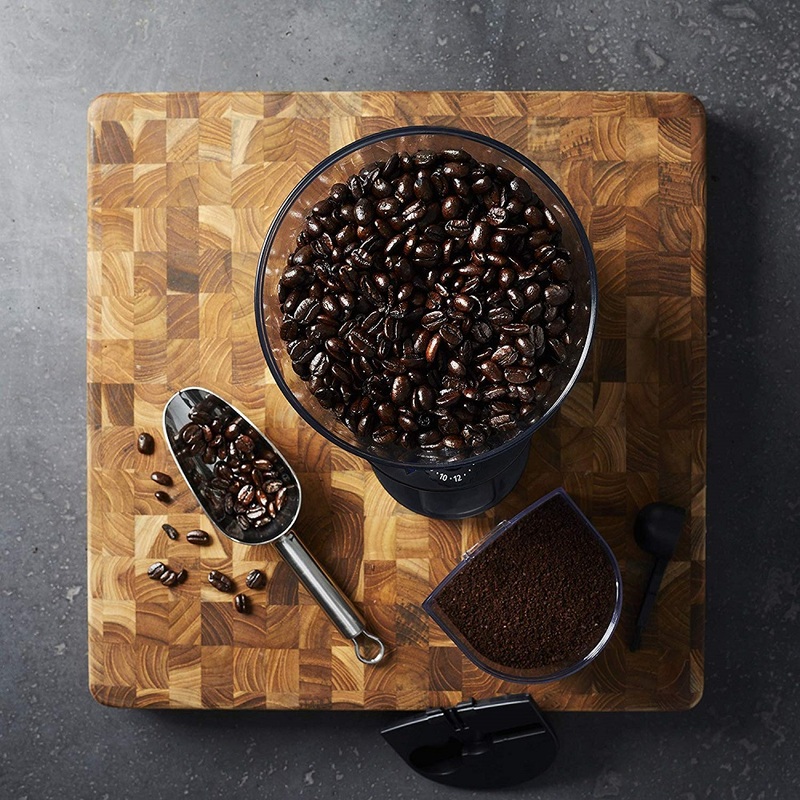 When you freshly grind coffee, you’re exposing parts of the bean that haven’t touched the air and haven’t had a chance to lose any flavor giving you a guaranteed maximum freshness coffee experience. 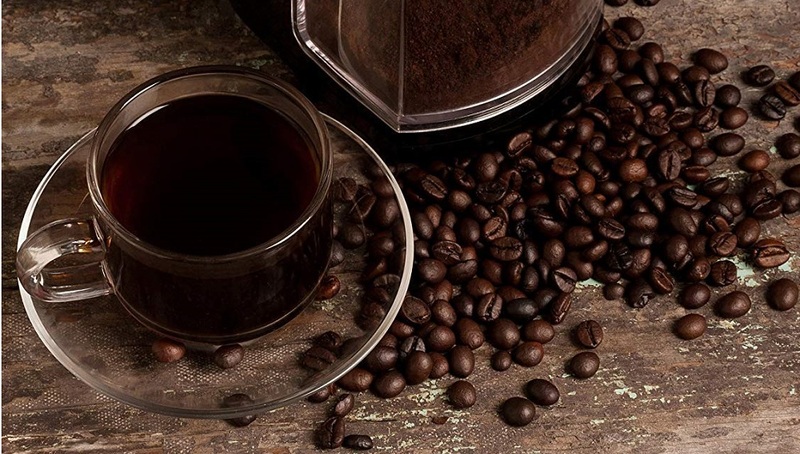 The next best thing to freshly ground coffee is to buy whole bean coffee and have it ground at the store, as at least that way it only sits for 1-3 weeks before being fully consumed. Do not buy a blade coffee grinder! You will regret it and here’s why. Most blade coffee grinders have a spinning blade at the bottom of the grinder that chops the coffee beans into mostly random sizes. If you’re extra unlucky, you might even end up with half or quarter fractions of a bean in your grinds. As you can imagine this is not going to give you a well-brewed cup of coffee as the grind-size is one of the most important parts of brewing coffee. 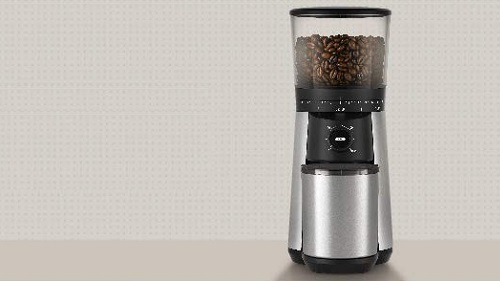 A burr coffee grinder works by funneling the beans, a few at a time, to the grinding stage and have much more precision over the grind size as a result. The best grinders also give you an option to change the size of the grind. 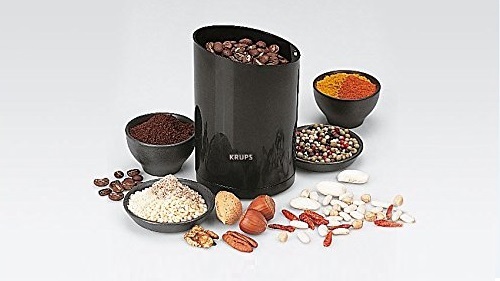 Burr grinders are also much more durable than blade coffee grinders as the grinding stage is not a single edge but instead crushes the beans and can last longer as a result. Even regular coffee drinkers might not know just how important the grind size is after-all most people just go to the store and buy pre-ground coffee for the convenience. If you’re buying your first grinder, you’re probably okay with a grinder that has less than 30 grind settings, but if you’re more experienced and like to experiment with different styles of brewing coffee, you might need more. For example, cold brew coffee needs an extremely coarse grind whereas Turkish coffee uses a very fine grind that’s even finer than espresso grounds. 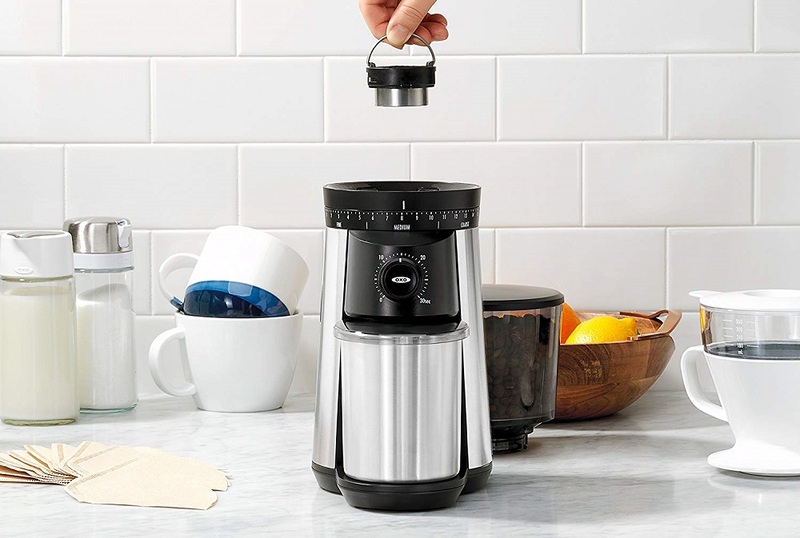 Make sure to thoroughly vet the coffee grinder you’re planning to buy based on the brewing style that is being used. Our burr coffee grinder reviews will help with this. 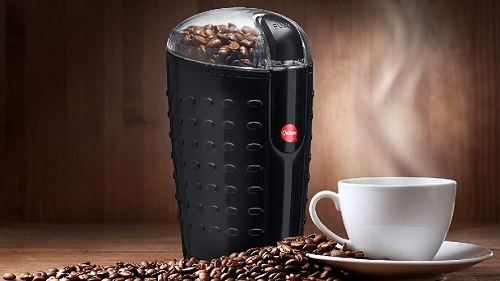 There are also a variety of different ways that coffee grinders activate the grinding function. The most common and cheaper coffee grinders use a pulse mode where you simply depress a button, and the grinder starts grinding. It can be laborious, however, having to stick around while your coffee grinds and so some coffee grinders will auto-grind where you can just set it up and walk away. 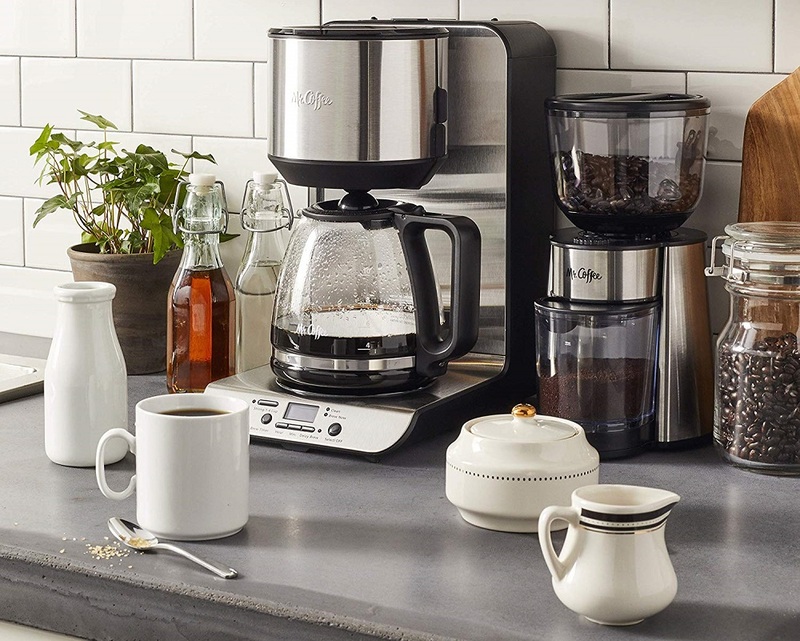 The more fully featured coffee grinders will offer you a timed mode where it will grind your coffee at a specific set time every day, this is the best option if your mornings are typically busy and you just want to wake up to freshly ground coffee. Depending on how loud it is it may also work as an alarm clock! Another very important factor to consider is how fast the burrs are spinning while grinding your coffee. Faster spinning results in more uniformly ground coffee, but if it’s too fast it will cause the blades to heat up, and heat can have a negative effect on the taste of your coffee. This is more a concern at the lower end of burr coffee grinders as more expensive models have quality testing to ensure there are no problems associated with their product. We’ll also be sure to mention in our burr coffee grinder reviews if the grinder heats up in a bad way.